In what would be an early geopolitical win for Moscow, German news agency DW reported yesterday, citing one of the project’s engineers, that the Nord Stream 2 natural gas pipeline should be operational by November. Klaus Haussmann, an engineer at Nord Stream 2's future landfall site at Lubmin on Germany's Baltic Sea coast, told German public radio station Deutschlandfunk that the "raw" laying of the pipeline would be finished by the middle of 2019, according to the DW report. "Then comes the entire installation of the electrical equipment, security chains. And, then it's planned on the large scale that we get the first conduit filled with gas in November, from Russia," Haussmann said. Haussmann said his concern was more the impact of the Baltic's winter weather and waves on construction at sea and less so the international pros and cons. "For two years or more, Nord Stream 2 has been pretty much under fire. But at the moment we have more worries with the weather outside," he said. Nord Stream 2 is a 759 mile (1,222 km) natural gas pipeline running on the bed of the Baltic Sea from Russian gas fields to Germany, bypassing existing land routes over Ukraine, Poland and Belarus. 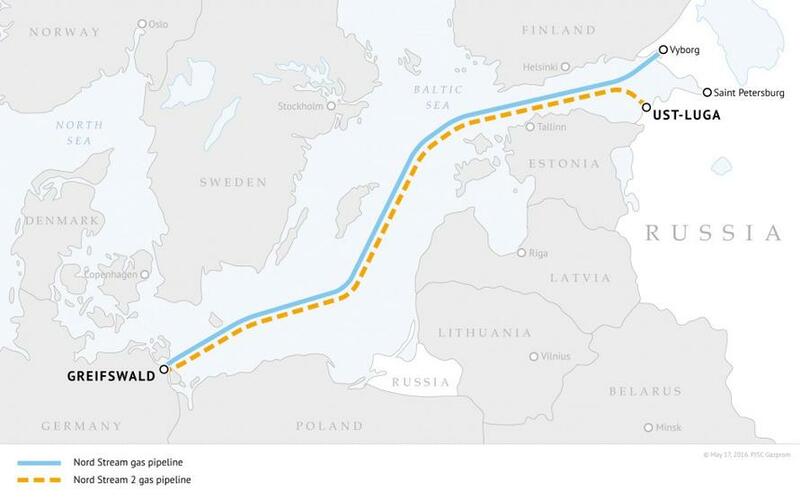 It would double the existing Nord Stream pipeline’s current annual capacity of 55 bcm. However, it is arguably one of the most geopolitically charged energy projects ever proposed. Germany maintains that the pipeline is needed to increase natural gas supply as some EU members move away from nuclear for power generation, but not everyone agrees. The U.S., under the past three presidents including Donald Trump, has long countered that the pipeline puts European national security in jeopardy - a concern that seems grounded given Russia’s history of using gas a geopolitical weapon in the middle of winter. Ukraine, which has argued that it will lose revenue since the Nord Stream 2 project would bypass the country, has tried to form a consortium of EU-based companies to stop the new pipeline, however, those efforts have largely fallen apart and at this point would be too late to make much difference. The Nord Stream 2 project has so angered President Trump that his administration has recently threatened to put sanctions in place if the project becomes operational. In a televised meeting with reporters and NATO Secretary-General Jens Stoltenberg before a NATO summit in Brussels last year, Trump said it was “very inappropriate” that the U.S. was paying for European defense against Russia while Germany, the biggest European economy, was supporting gas deals with Moscow. Earlier this month, Richard Grenell, the U.S. ambassador to Germany, said sanctions could be put in place against specific German firms involved in the pipeline project, prompting Berlin to reply that "nothing had changed" and the project had its permits and was proceeding. "We're not that easy to impress and intimidate," said German Economy Minister Peter Altmaier. Though Germany has resisted U.S. efforts to back out of the Nord Stream 2 project, American pressure is likely the impetus for the country to forge ahead with plans to put more LNG infrastructure in place as well as procure U.S.-sourced LNG which would not only diversify its energy mix but also appease President Trump.